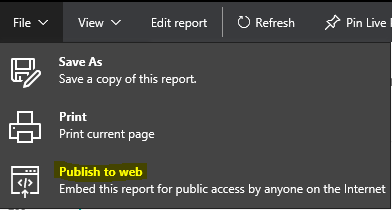 Once we have created our report we can export it from Power BI using Publish to web on the report. 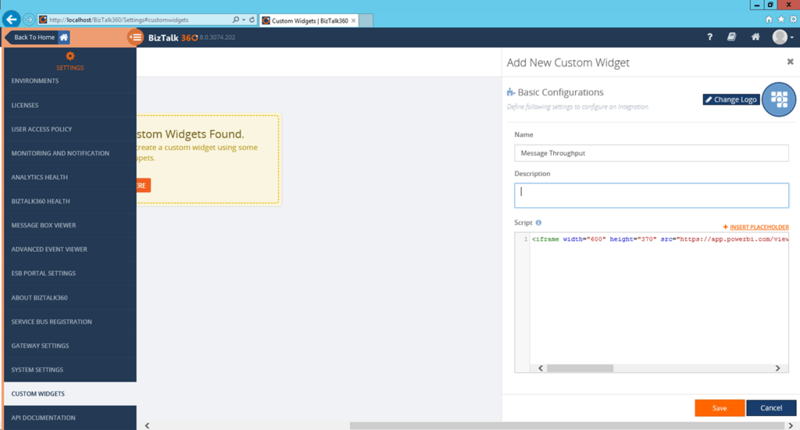 This will create an embed code, we will use this to create our custom widget in BizTalk360. Go to Custom Widgets in the BizTalk360 settings page, and create a new widget. Give it a name, and paste the embed code into the script box. The size can be adjusted in the link to fit better on the dashboard. Save the widget, and go back to our dashboard. Choose Add Widget and select the widget we just created. It will now be placed on the dashboard, where we can adjust it to fit in nicely. In case automatic refresh is set up in Power BI, the data in the widget will also be updated automatically. Using this together with BizTalk360’s own widgets we can create dashboards giving us all information about our environment we need. 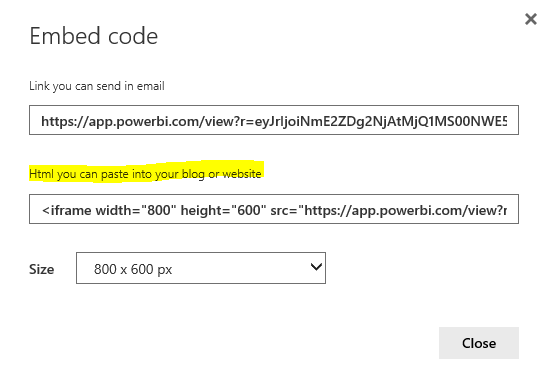 This entry was posted in BizTalk360, PowerBI by Eldert Grootenboer. Bookmark the permalink.